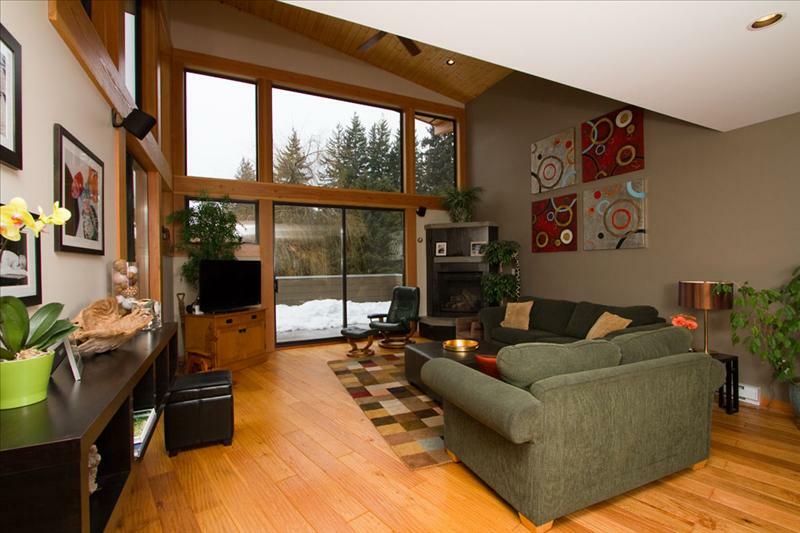 This lovely 5 bedroom Whistler rental home features a large open concept main floor with gourmet kitchen. 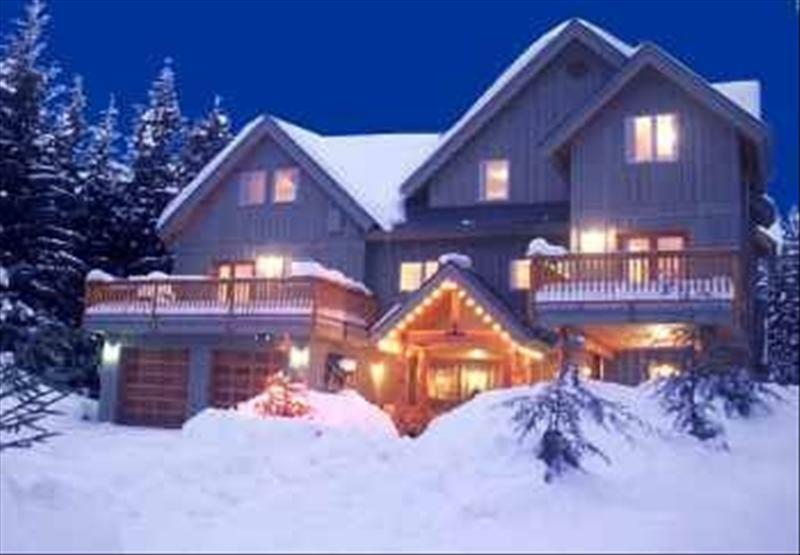 Our fabulous home is located in lower Whistler Cay a short walk to Whistler Village & the lifts. It features a fully equipped kitchen with granite counter tops, table seating for 8-10, fireplace, wood flooring, stainless steel appliances, washer & dryer and a private outdoor patio with a gas BBQ and hot tub, and parking in the driveway. Upstairs bedroom # 1 with a king bed with bathroom with ensuite bathroom. The 2nd bedroom has a king bed with adjacent bathroom with shower. 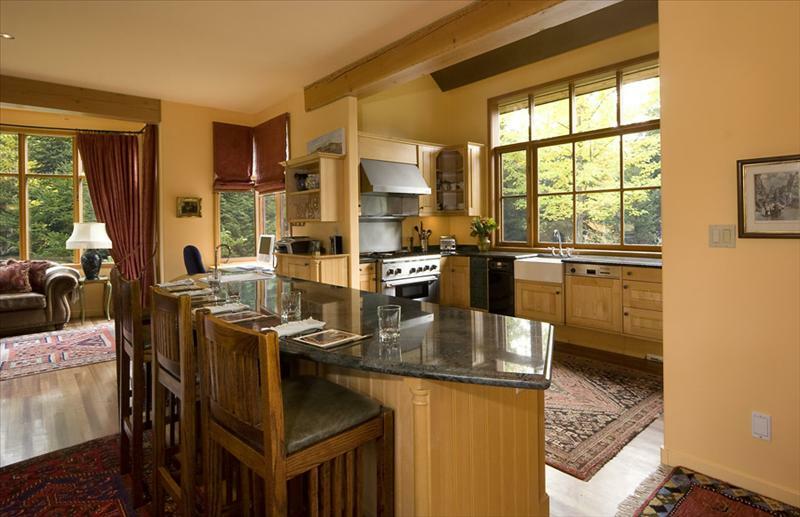 The 3rd bedroom has a queen bed and adjacent bathroom with shower. Bedroom # 4 has 2 single beds or a king bed + one more single bed and the loft has 2 single beds.